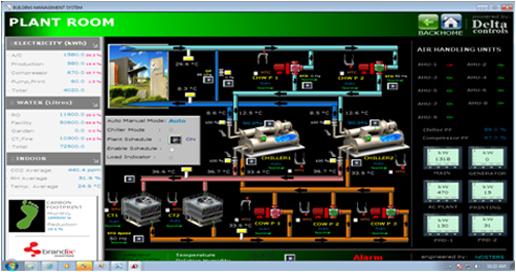 Building Management Systems (BMS) are computer-based control systems that fall into the family of SCADA solutions, which is installed in buildings that controls and monitors the building’s mechanical and electrical equipment such as HVAC, lighting, access, power systems, fire systems, security systems etc. 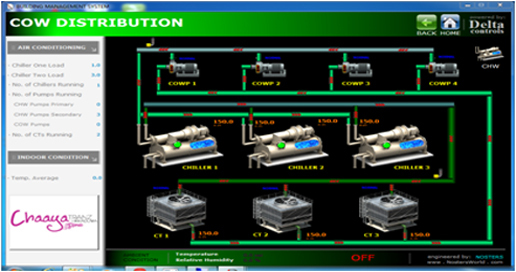 A BMS consists of hardware and software. Hardware part of Building Management Systems mainly comprises of Direct Digital Controllers (DDC) that interfaces with various M&E equipment via sensors and other I/O devices while the software part comprises of various soft interfaces for M&E equipment using standard protocols (such as BACnet, MODBUS and LON) and GUI for user interactions. BMS has become an essential requirement for large buildings with sophisticated M&E equipment and high energy consumption. Its core function is to manage the environment within the building including the monitoring and controlling of temperature, humidity and air quality within a building. As a Building Management Systems monitor and control M&E equipment, it plays a vital role as a maintenance support system of a building which will ensure continued service levels to its tenants. Due to its integration with the most energy consuming sub system of a building which is the HVAC system, building owners rely heavily on the BMS for energy optimizations. 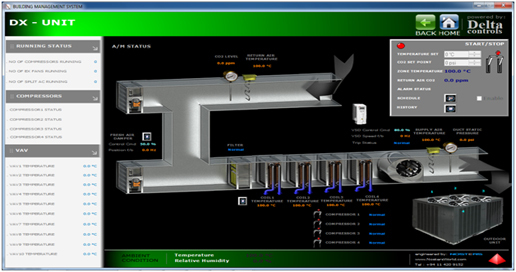 A BMS once interfaced with both HVAC and Lighting system can be effectively programmed to manage at least 70 % of energy consumption in a building environment. Thus, a BMS could save 10%-25% of energy in a building. Nosters has installed the most number of Building Management Systems in Sri Lanka covering a wide spectrum of industries including leading hotels, hospitals, commercial buildings, telecom companies and factories, some of which are green buildings with LEEDs certification. 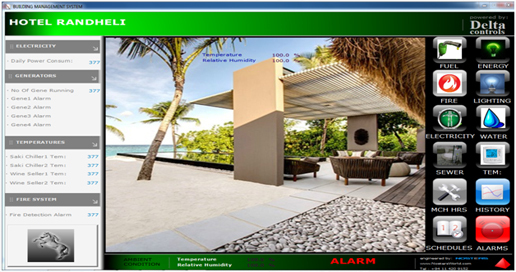 Trusted Partners in Building Automation!